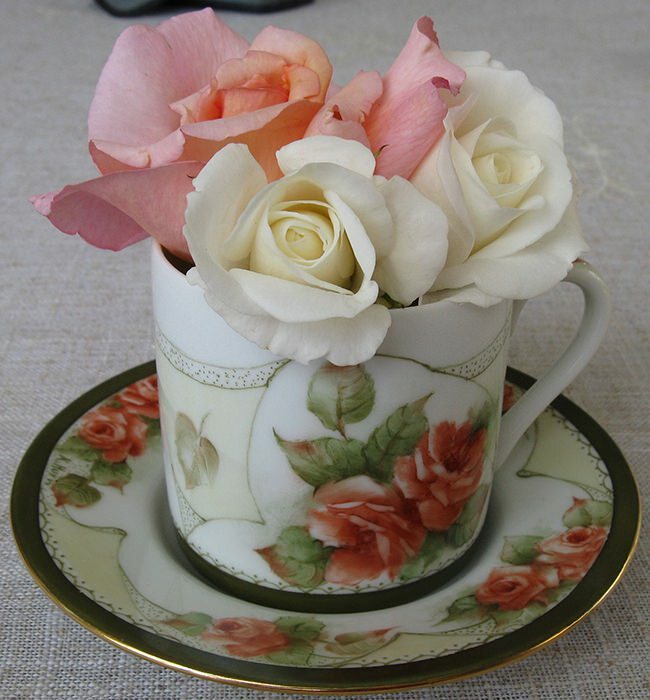 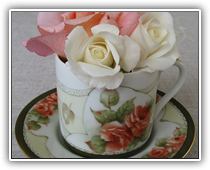 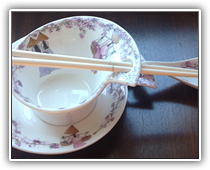 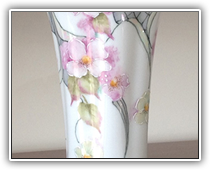 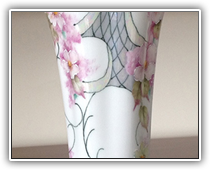 The term ❝china painting❞ or ❝porcelain art❞ usually refers to the method of painting on white glazed porcelain objects. 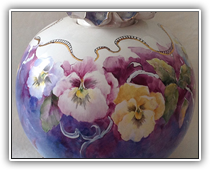 The paint used is an overglaze paint, which means it is designed to be used on top of already glazed porcelain. 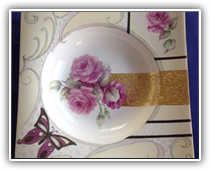 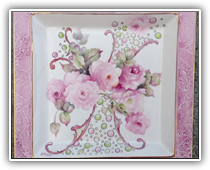 Painting on porcelain is an ancient art, the process was developed over two thousand years ago and is thought to originate in China. 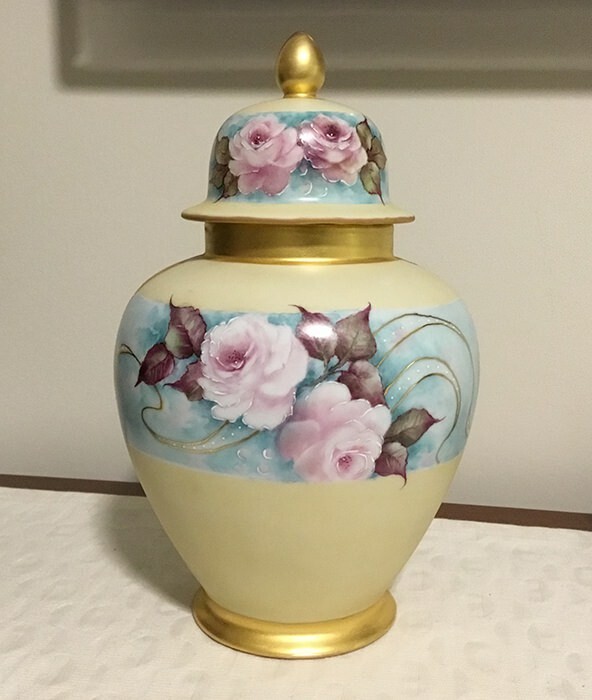 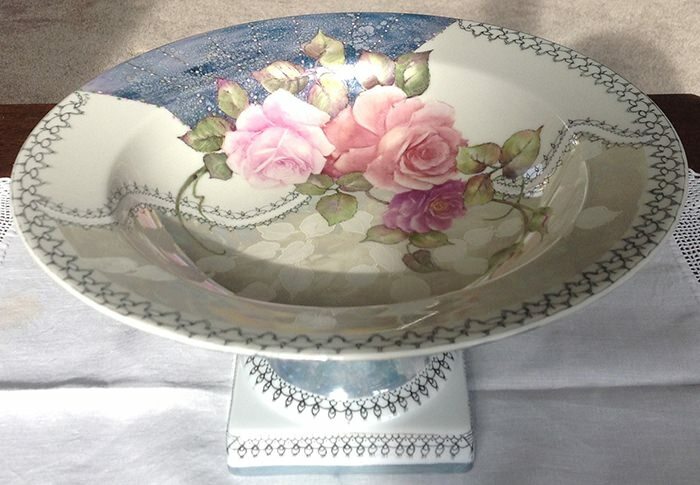 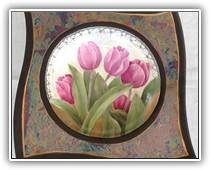 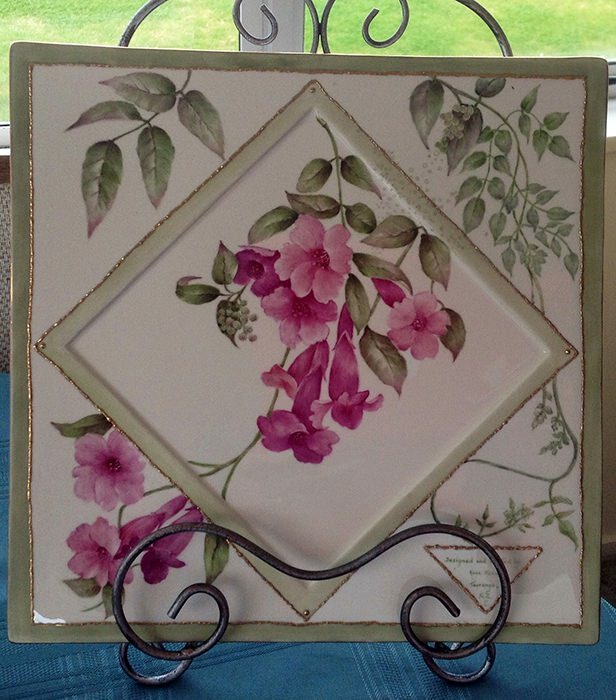 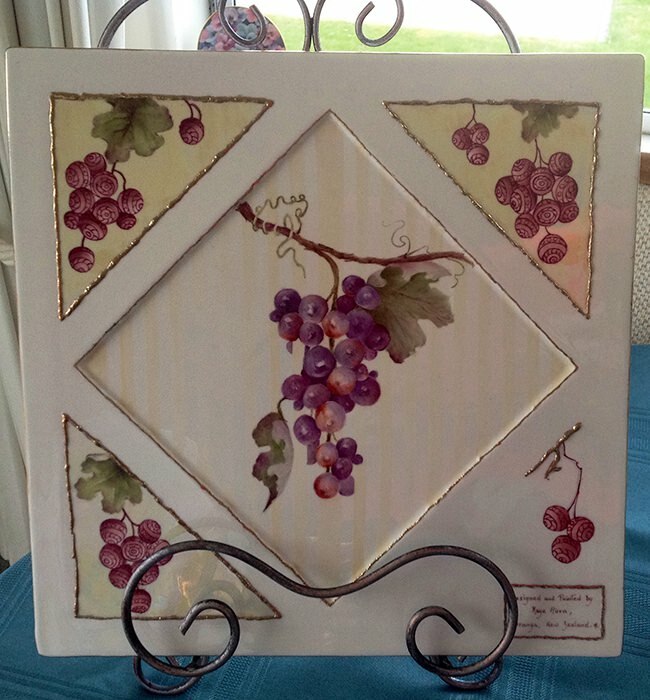 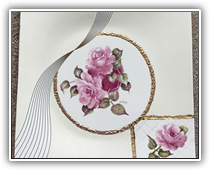 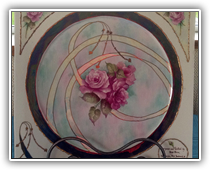 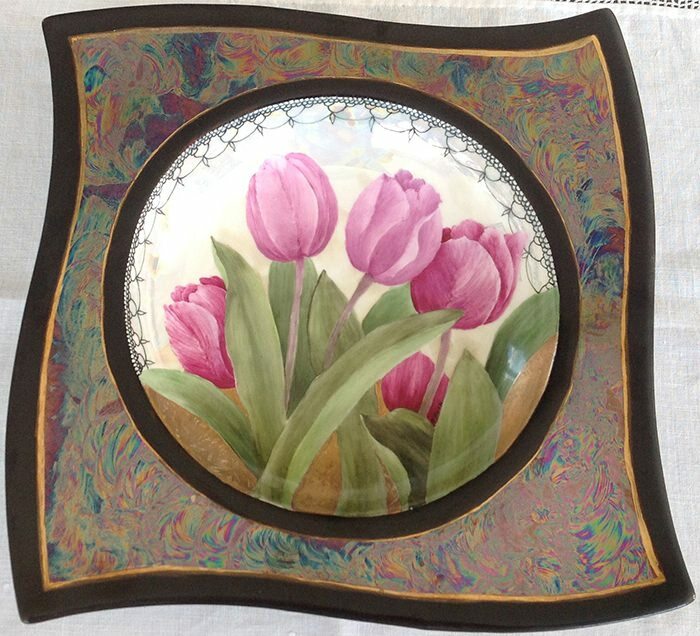 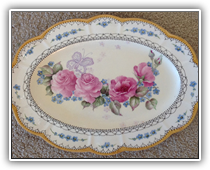 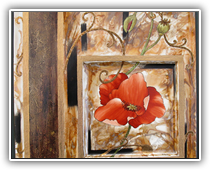 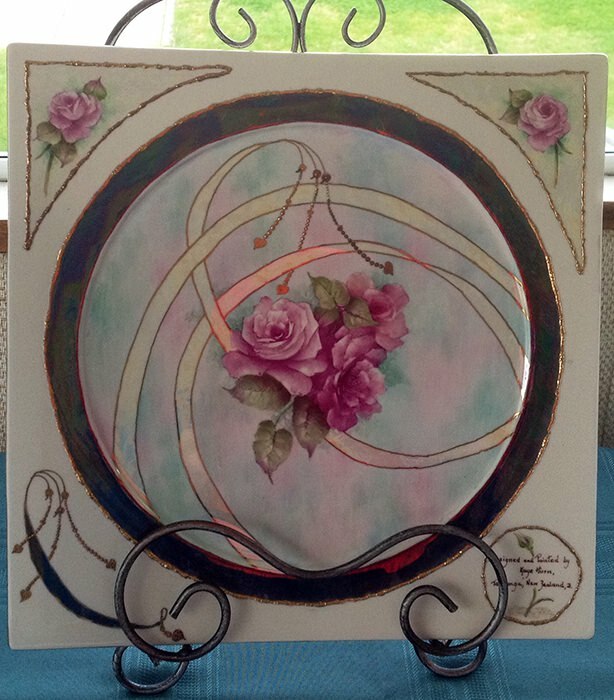 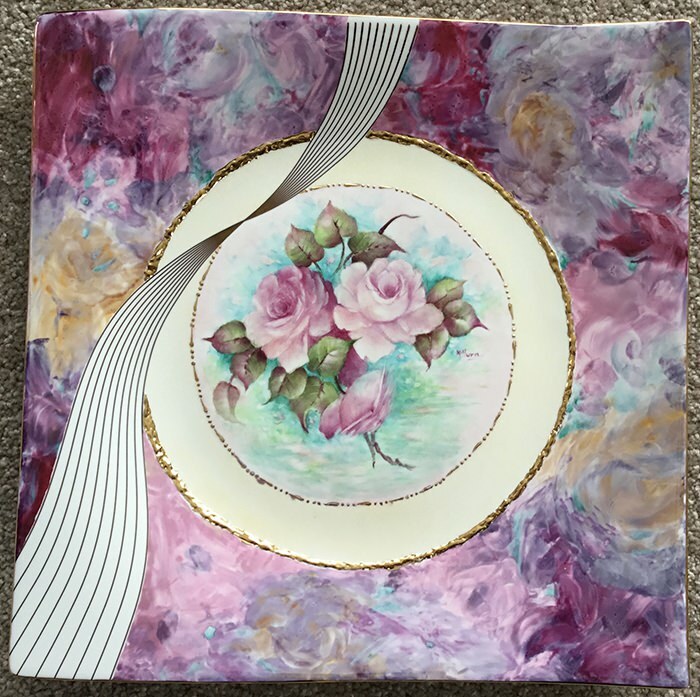 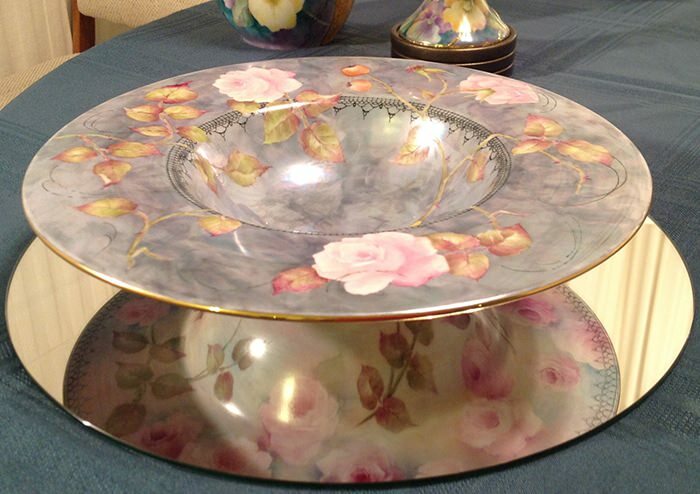 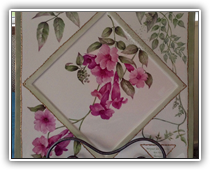 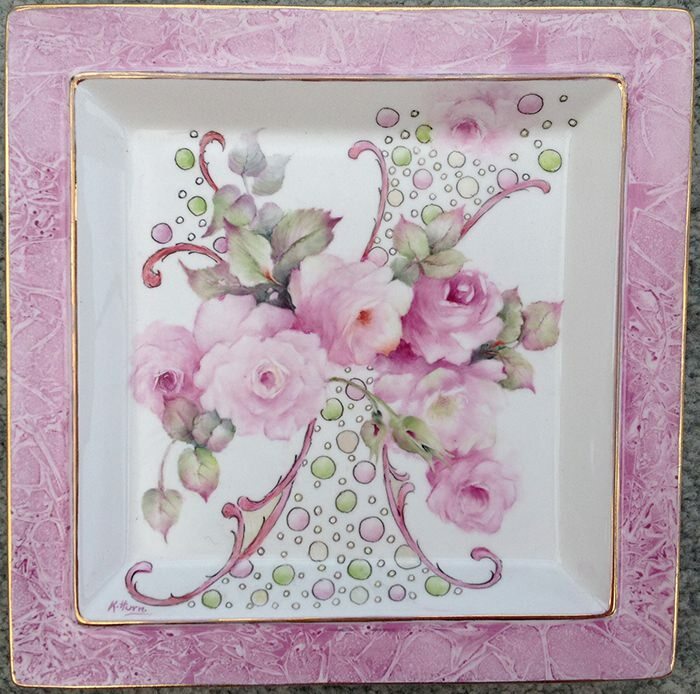 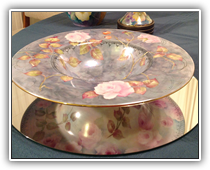 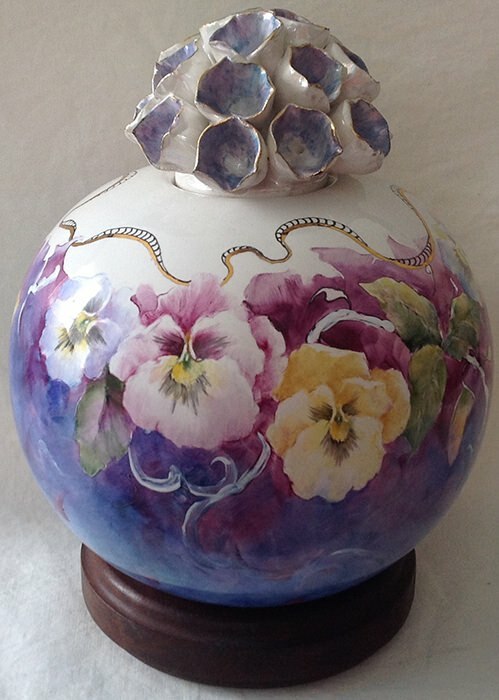 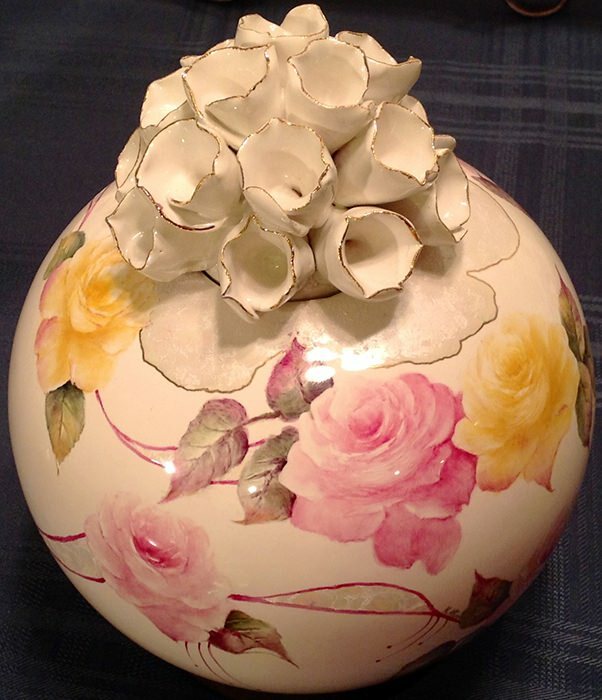 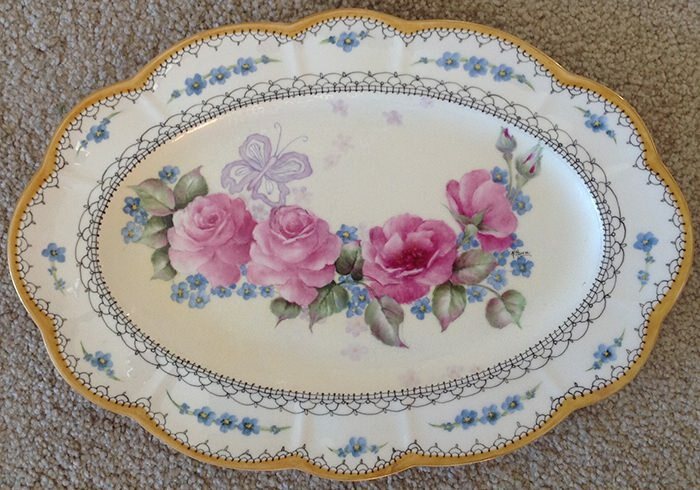 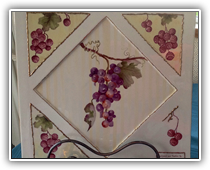 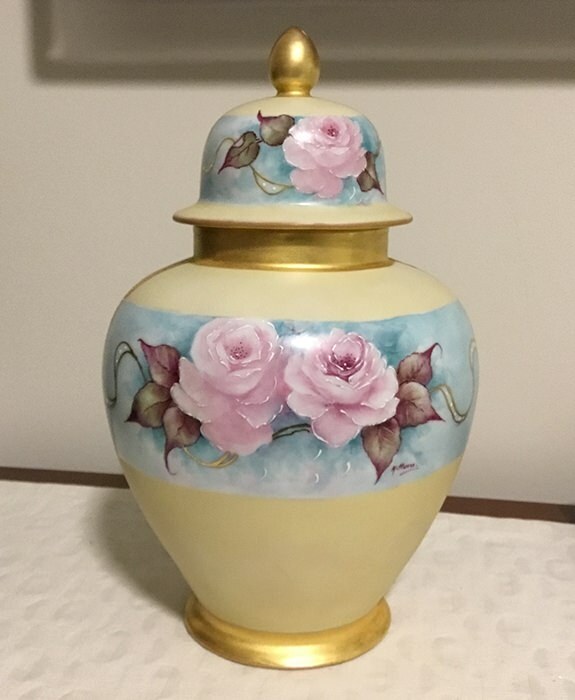 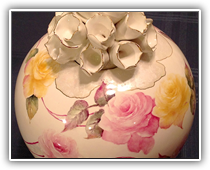 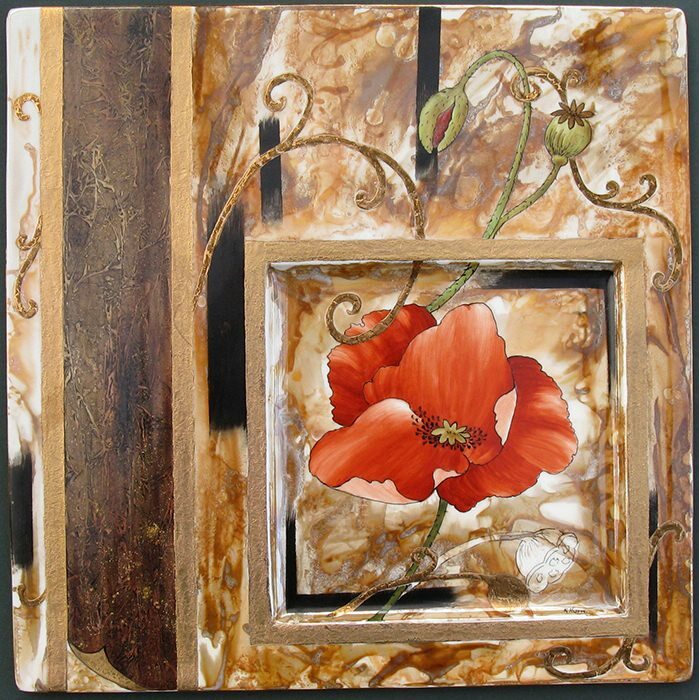 I have been involved in Porcelain Art (Oil on Porcelain) for the last 30 years. 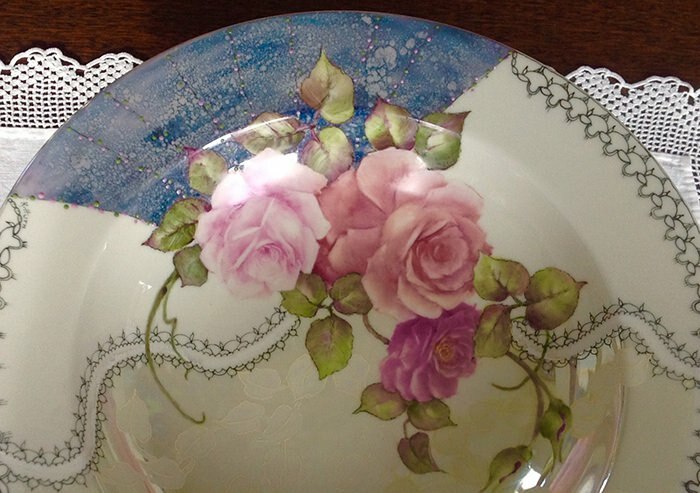 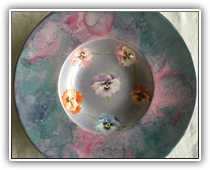 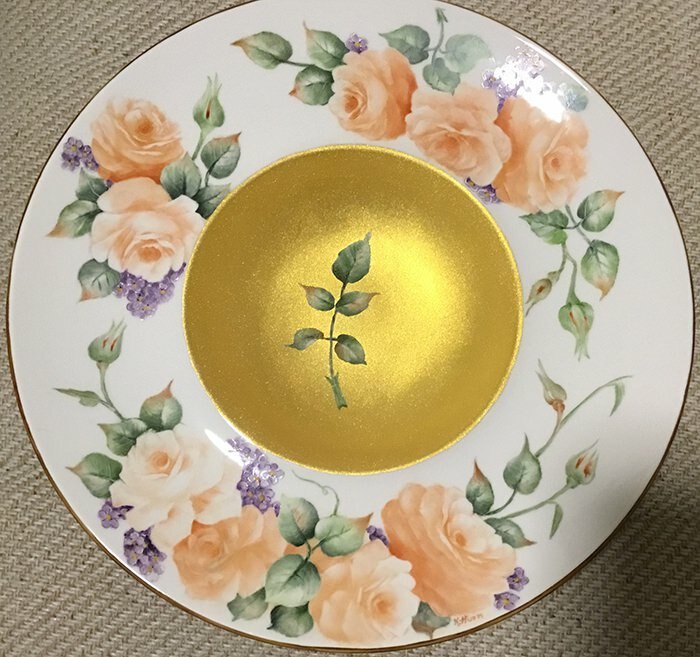 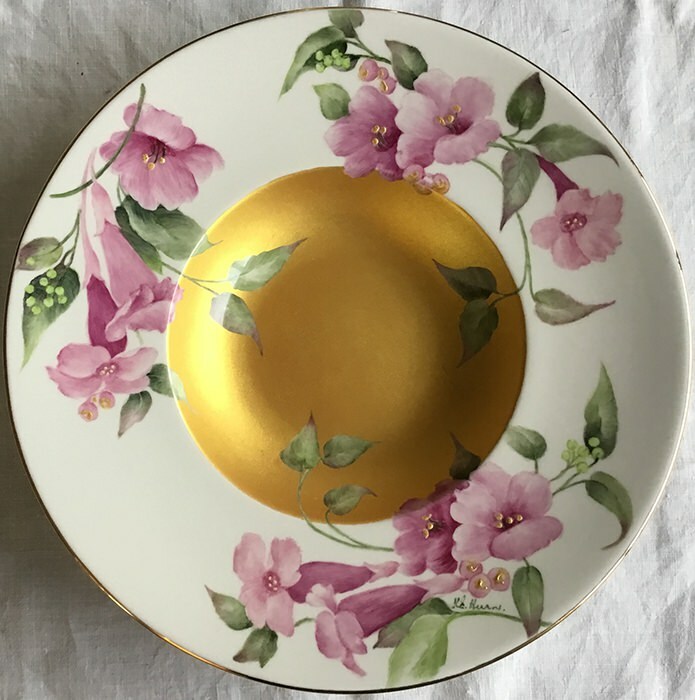 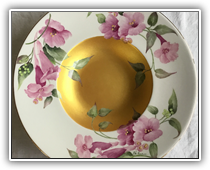 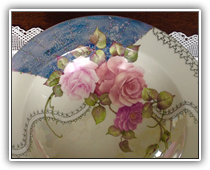 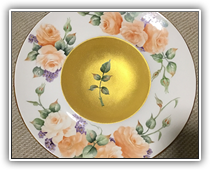 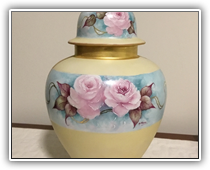 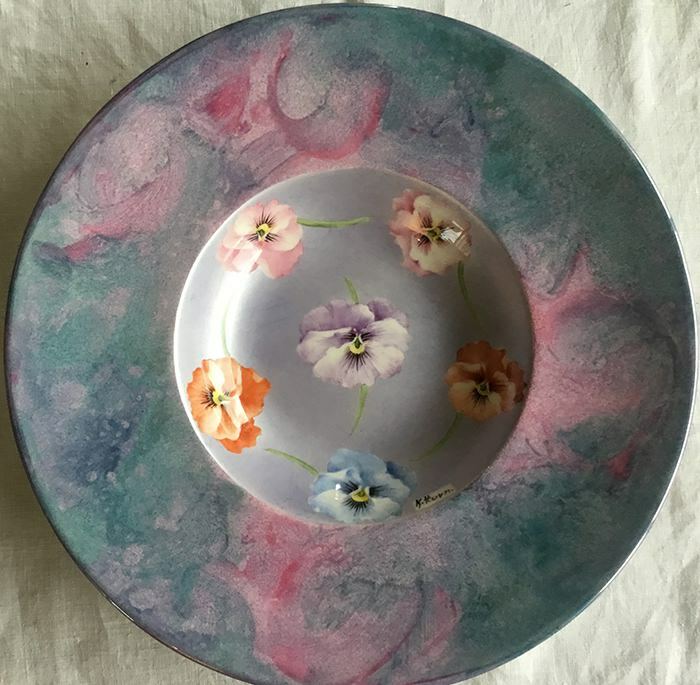 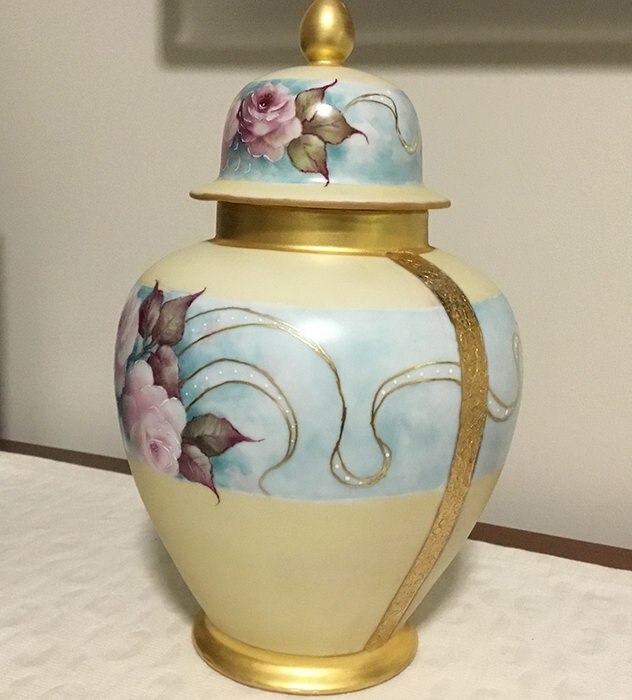 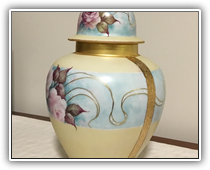 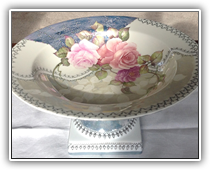 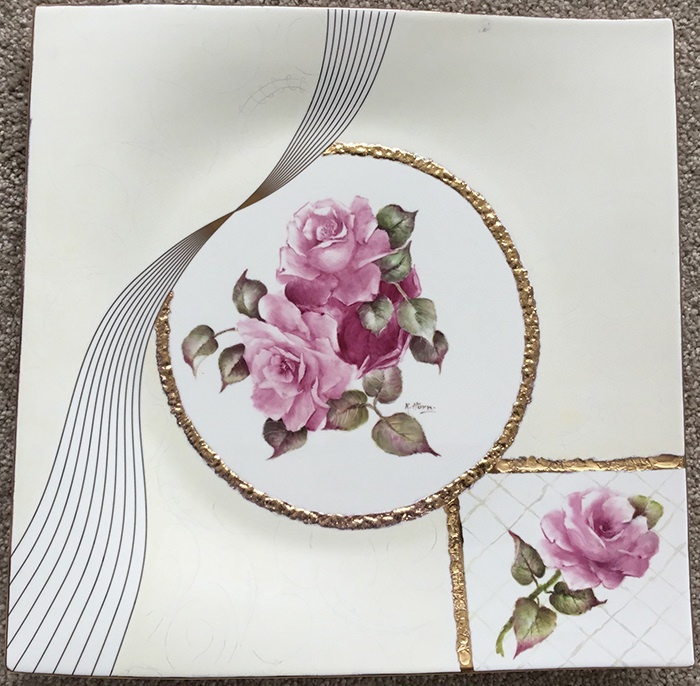 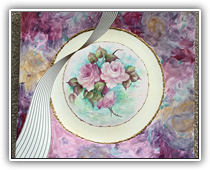 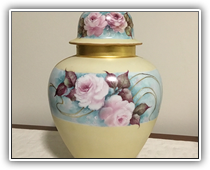 I am passionate about helping to keep this very ancient art alive, and until recently have held weekly classes in my home and been actively involved in the local Porcelain Art Club in Tauranga, where I live. 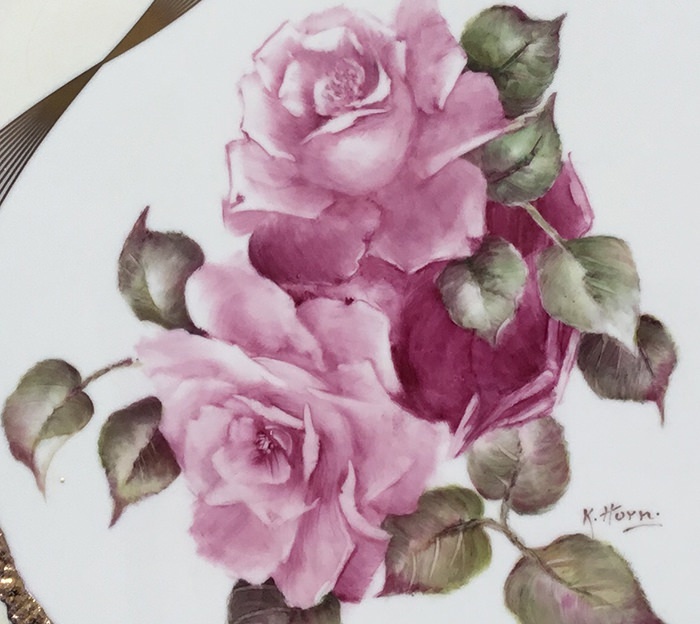 "My first love is painting roses as you will see below!" 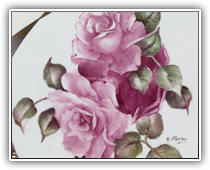 My main background education in this field of art has been the privilege to attend schools in New Zealand, Australia and the USA. 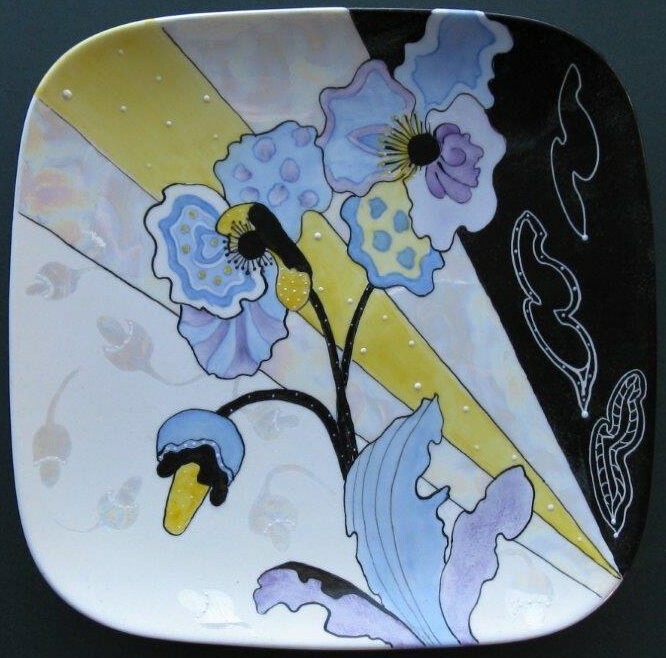 Methods of Porcelain Art have changed over the centuries as education and experimenting have discovered better methods of applying the pigments, more modern and automatic kilns make firing each application of paint easier, and increasingly creative ways to experiment with new products have added new dimensions to the world of Porcelain Art. 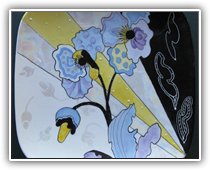 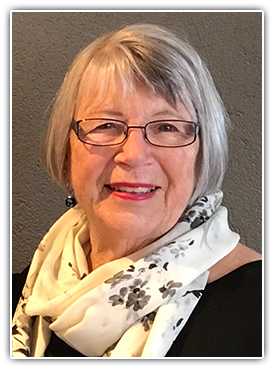 I am a member of the Tauranga Porcelain Art Assn, APAT (Australasian Porcelain Art Teachers Assn), IPAT (International Porcelain Art Teachers Assn), PPIO (Porcelain Painters International On Line), and PAT (Porcelain Art Teachers (NZ). 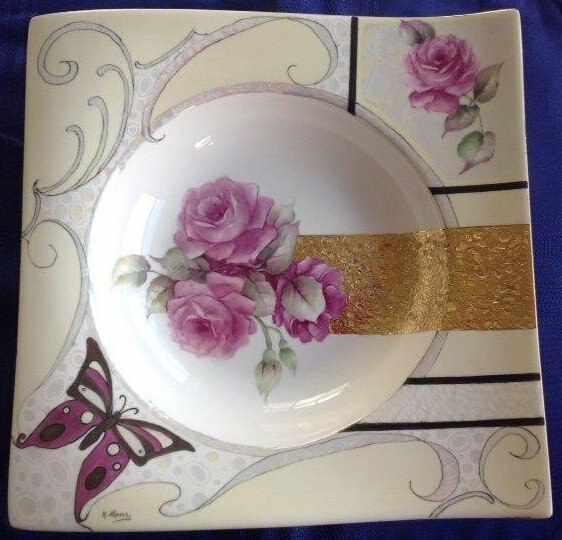 Enjoy, and appreciate this fine art.